CORE is a four-year global project aimed at improving security all along the goods supply chain. Because cargo and truck theft, cybercrime, terrorism and natural disasters can all lead to massive disturbances in the goods transport and ultimatelly, everyday life. CORE aims to help create safe, timely and efficient business flows that are resilient to threats and which can recovery rapidly from any disruptions. 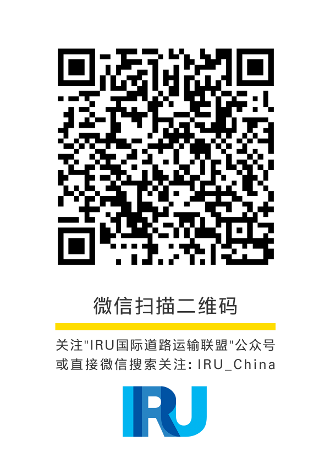 IRU Projects is working within the EU to put together a global system designed to tackle security in the supply chain. By joining forces with all EU Member States, we are trying to reduce the EUR 8.2 billion or so losses that result from cargo and truck theft. In addition to purely financial losses, companies also suffer damage to their brand image, investigation costs and insurance premiums. Several reference projects in the past have tackled the issue of supply chain security – SAFEPOST, EUROSKY and e-Freight to name just a few. CORE collates findings from all these projects but also promotes a collaborative approach with a key aim of helping companies recover from any disruptions. Provides End-to-end Supply Chain Security (ESCS), which makes it easy to generate common standards and work within a framework of mutual recognition. Includes tools that help companies deal with ‘black swan’ (unexpected) events and make supply chains resilient to major disturbances caused by terrorism, natural disasters or cybercrime. Risk assessment – because prevention is better than cure. The more we can know (and prepare for) risks around each shipment, the better chance we have of lowering those risks. Tracking – knowing where everything is at every step. So nothing can slip through the cracks. Traceability – if cargo does go missing, we need the best systems and technology in place to find out where it’s gone and get it back. Partners: European Shippers Council (ECS), World Customs Organisation (WCO), INTERPOL, European Association for Forwarding, Transport, Logistics and Custom Service (CLECAT), IRU Projects ASBL, Majorca SpA, European Organisation for Security (EOS), FloraHolland UA, UNISERVE Lts, DHL Exel Supply Chain Spain, Swissport International AG, Procter & Gamble Services Company NV, HM Revenue and Customs, Ministerie van Financien Directoraat Generaal Belastingdienst, Sunwell Technologies Inc., Service Public Fédéral Finances, BSH Electrodomesticos, Ministerie Binnenlandse Zaken en Koninkrijkrelaties, Italian Ministry of Infrastructure and Transports, Ministère de l’Ecologie, du Développement Durable et de l’Energie (MEDDE), Nederlandse Voedsel en Warenautoriteit, DBH Logistics, Terminal Marítima de Zaragoza, Consorzio IB Innovation, La Spezia Container Terminal SpA, Senator for Economy, Labour and Port of Bremen, PORTIC Barcelona S.A., Smiths Heimann SAS, INTRASOFT International SA, Telespazio SpA, Descartes Systems, A.P. Moller – Maersk A/S, SO.GE.MAR SpA, Metro Shipping Ltd., BAP Logistics Ltd., Maritime Cargo Processing PLC, Seacon Venlo Expeditie B.V., European Commission Joint Research Centre (JRC), TNO, BMT Group Ltd., Inlecom Systems Ltd., Instytut Logistyki I Magazynowania (ILIM), Conceptivity Sarl, MJC2 Ltd., Fundación Zaragoza Logistics Center (ZLC), ENIDE Solutions SL, Totalförsvarets Forskningsinstitut, CLMS ltd., EBOS Technologies Ltd., ATOS Spain SA, Cross-Border Research Association (CBRA), Center for Security Studies (KEMEA), Institut für Seeverkehrswirtschaft und Logistik (ISL), Technische Universiteit Delft, Hochschule Bremerhaven, Security Projects UK Ltd., Georgia Tech Research Corporation, IControl Inc., VLTN GCV, Advanced Track & Trace, Loadstar Inc., LOGIT Systems BVBA, CONEX, Logistiek Zonder Papier BV, TTS Italia, Brimatech Services GmbH, Trans Sesé, Seabridge SA, Technische Universiteit Eindhoven, MCP plc.